When it comes to the Smark Out Moment SMACK TALK podcast, I'm always looking for more ideas on topics that I can cover, new segments and gimmicks to pull out of a hat, alternative ways to discuss the world of WWE and professional wrestling, and more interesting things that you all will love to listen to. As such, I'm always looking to receive feedback on potential suggestions from all of you of what you'd like to hear, as it gives me the ability to gauge what the favorite things are from everyone that I should dedicate the most time to. 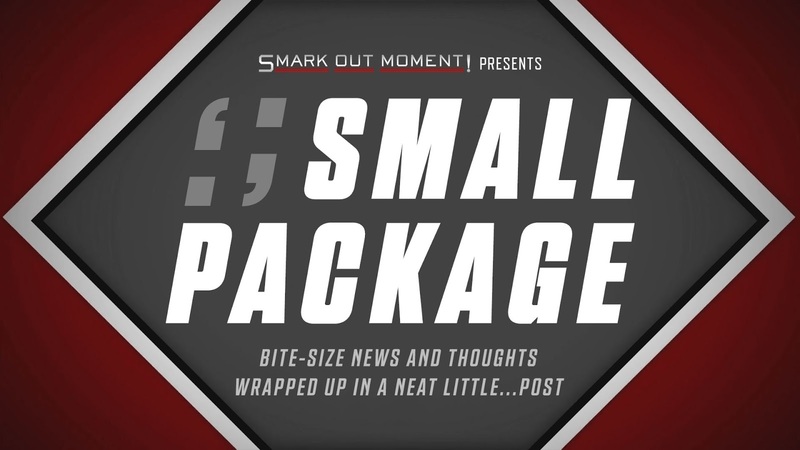 This is a long-winded way for me to introduce the concept of this Small Package, which is suggestions for one of my favorite podcasts, Something to Wrestle with Bruce Prichard—ideas I'd like to see THEM cover somewhere down the road. Anyway, just some thoughts to put out there, from one podcast host to another, and something to give you all some insight into my brain. That's the point of these Small Package posts. I'm sure I could think of more. Likewise, if you have any suggestions of topics you'd like Smack Talk to get into, tell me!